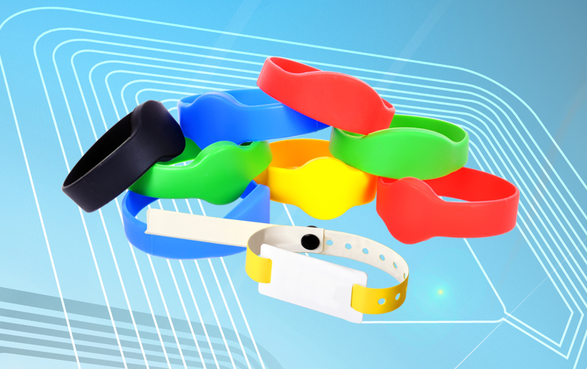 RFID wristbands combine RFID technology with an easy to use, good-looking design. The wristbands are lightweight and the RFID technology is still able to function effectively while on the wrist. They are made out of PVC which makes them durable and water resistant allowing them to be used in multiple settings from sporting events to festivals. These wristbands are for single use so once the wristband has been put on it will have to be cut off. We can personalise the front of the wristband with individual colors, designs, names and numbers as well. Wristbands for patient-identification and data saving (for treatments, medication). Security-Wristbands in care facility’s (motion tracking, identification). Event-Wristbands with access-, paying- and identification function (concerts, festivals, amusement parks). Visitor wristbands for swimm- and adventure pools.